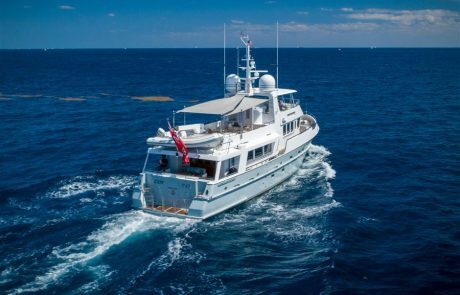 Having received an extensive mechanical refit in 2018, COY KOI is ready for her next global adventure. 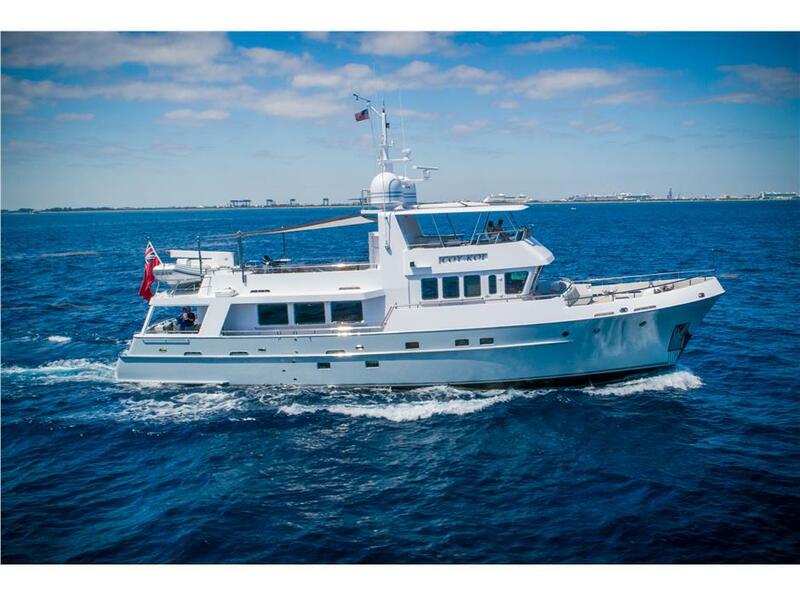 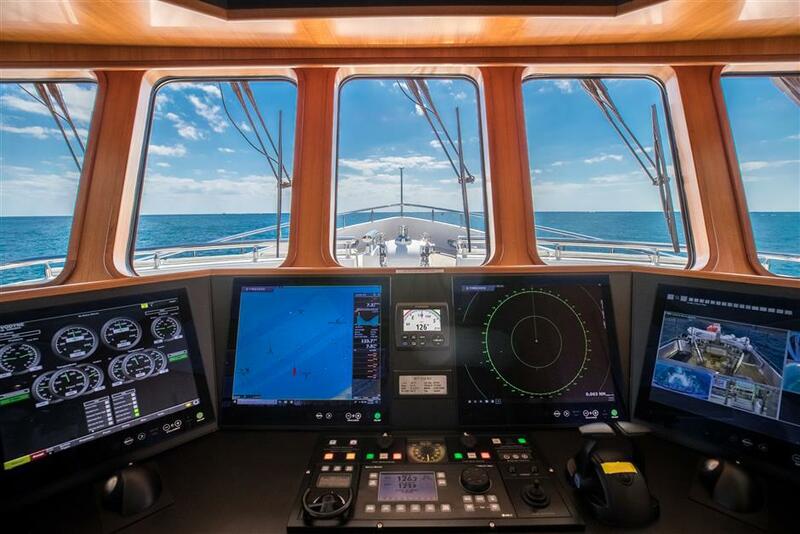 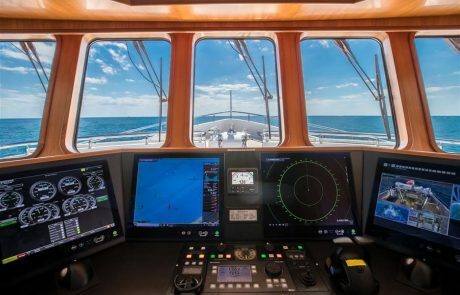 Her refit included a rebuild on her engines and generators, new a/c chillers and air handlers throughout, new pilothouse and flybridge electronics and new teak on the bow to name a few. 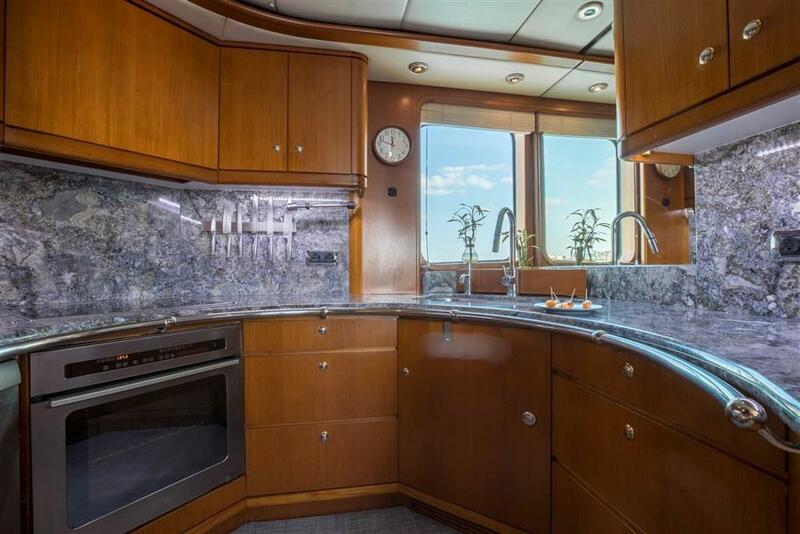 Additionally, the motor yacht had a complete paint job in 2015. 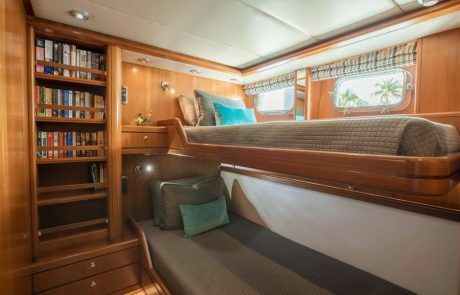 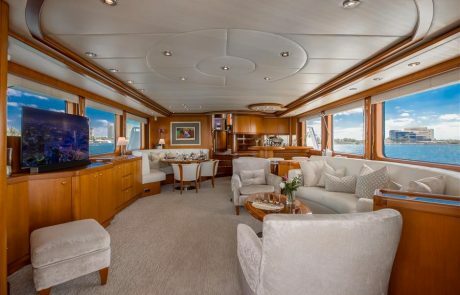 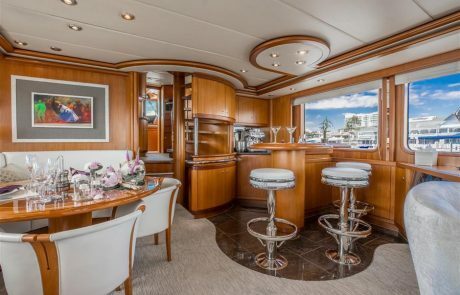 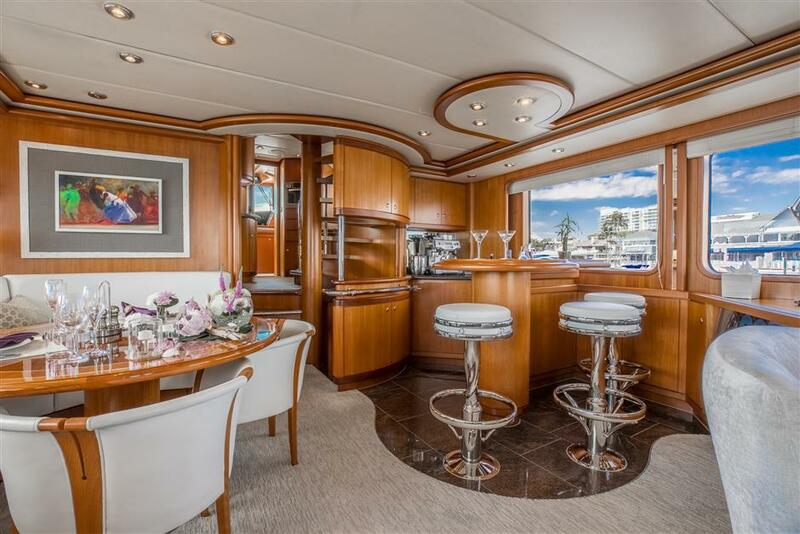 The motor yacht’s interior is adorned with plush furnishings that are complemented by rich cherry wood, beautiful granite and gorgeous marble to create an understated, modern styling. COY KOI’s interior is warm and welcoming providing the perfect space to unwind, dine and entertain. 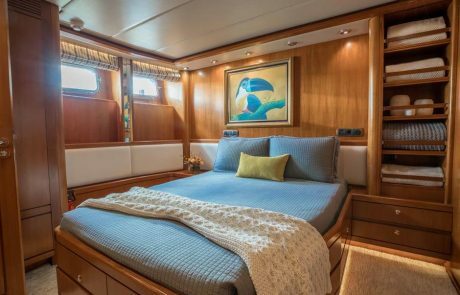 Showcasing three well-appointed staterooms, COY KOI accommodates six guests. She features a double-bed master stateroom, a double-bed VIP and a twin bunked stateroom. 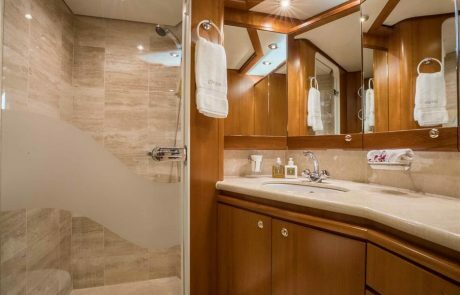 Each stateroom is complete with its own en-suite bath with marble countertops and glass showers. 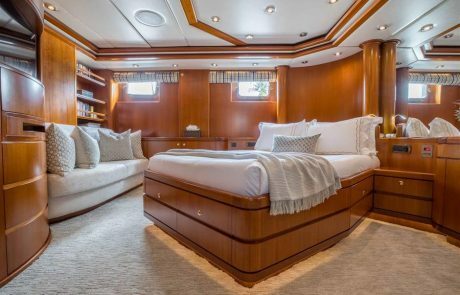 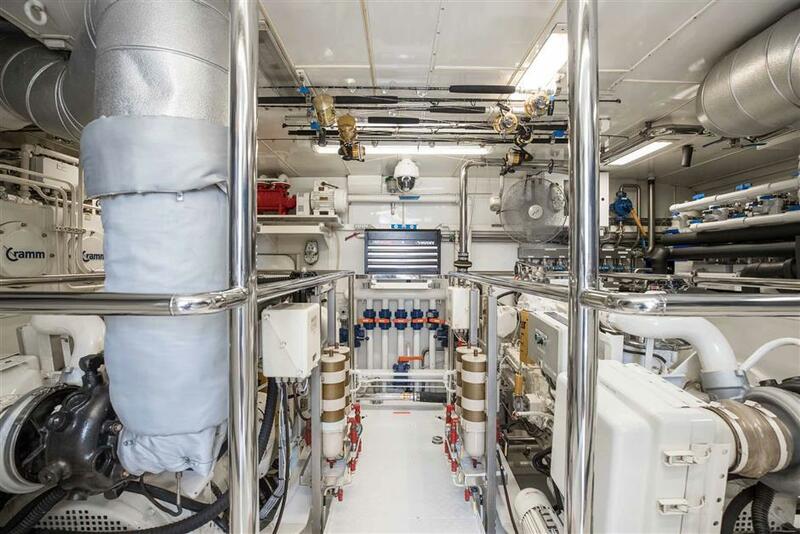 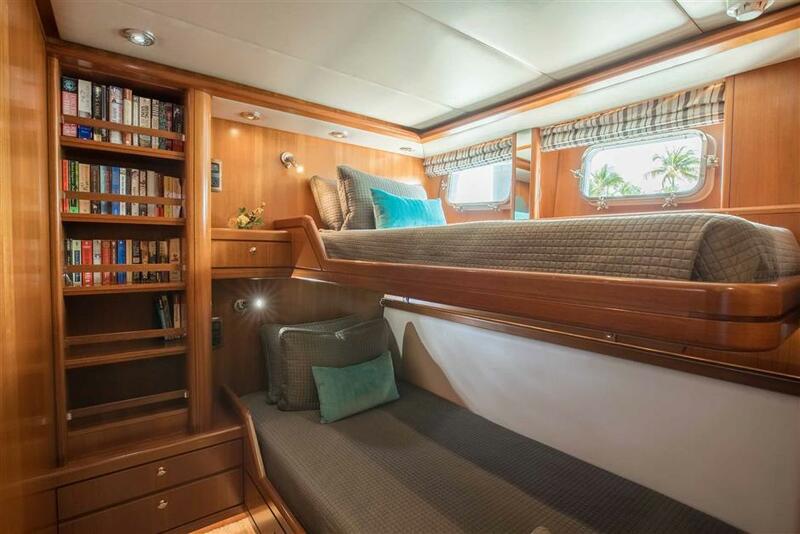 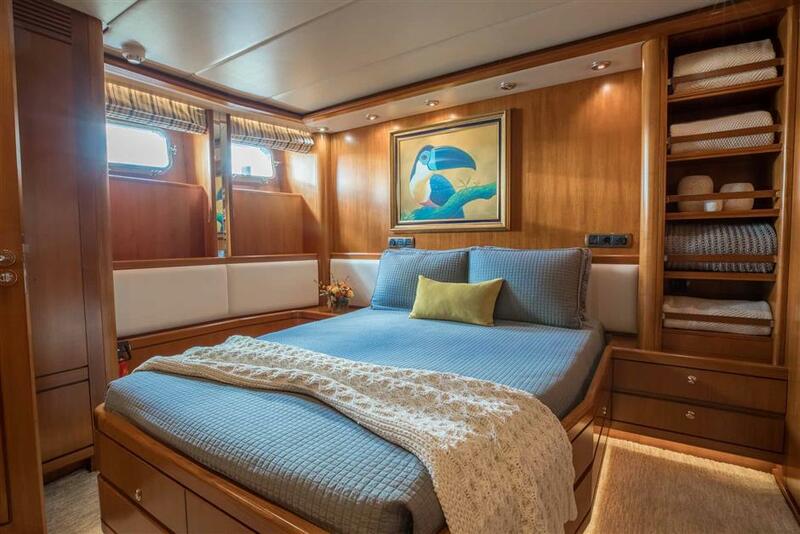 In addition, the motor yacht has accommodations for three/four crewmembers. 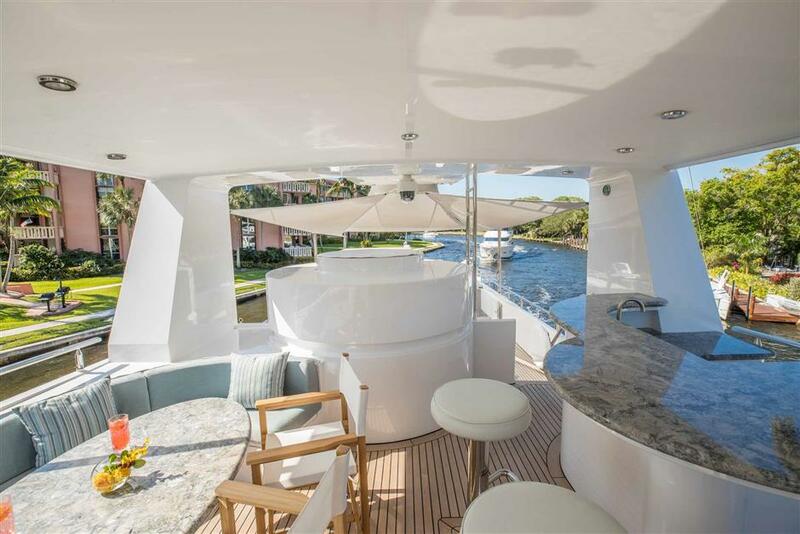 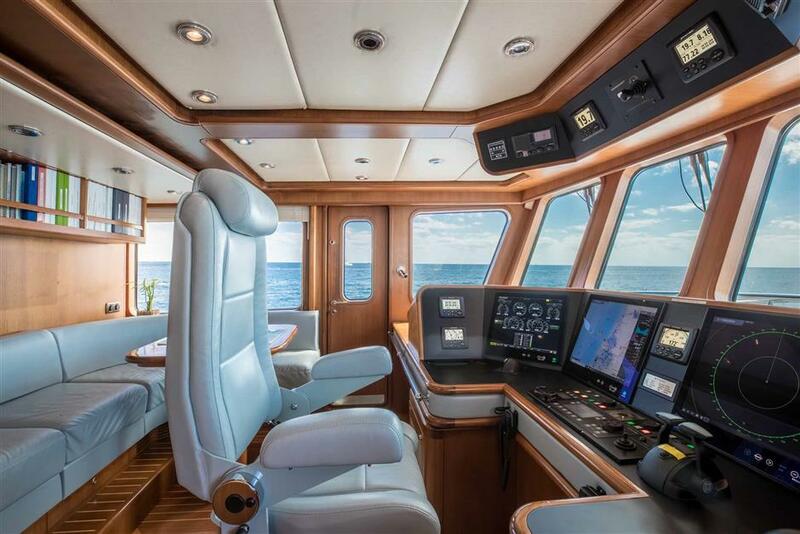 COY KOI’s split-level flybridge provides the perfect spot to spend time whether cruising or at anchor as it offers ample seating, a bar, intimate dining for two and incredible views of the cruising destination. 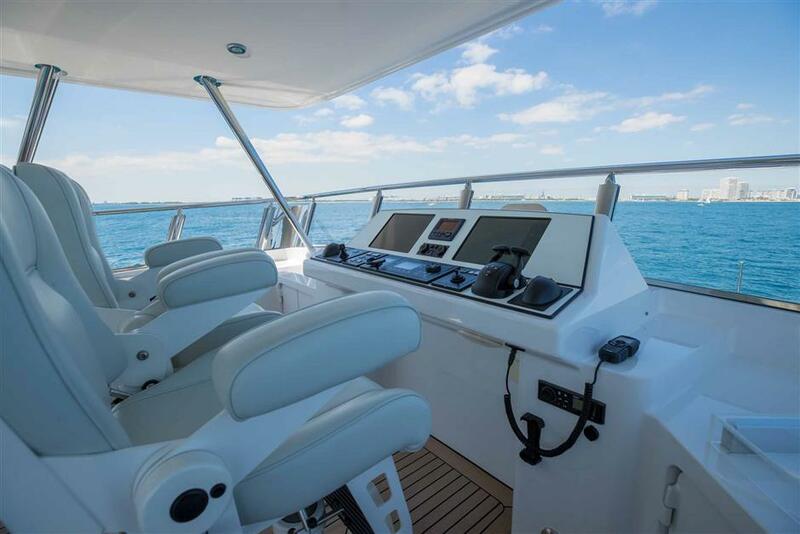 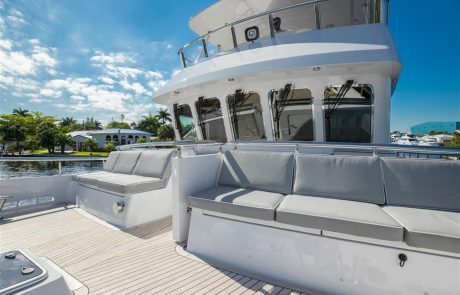 Aft, the flybridge offers space for a tender. 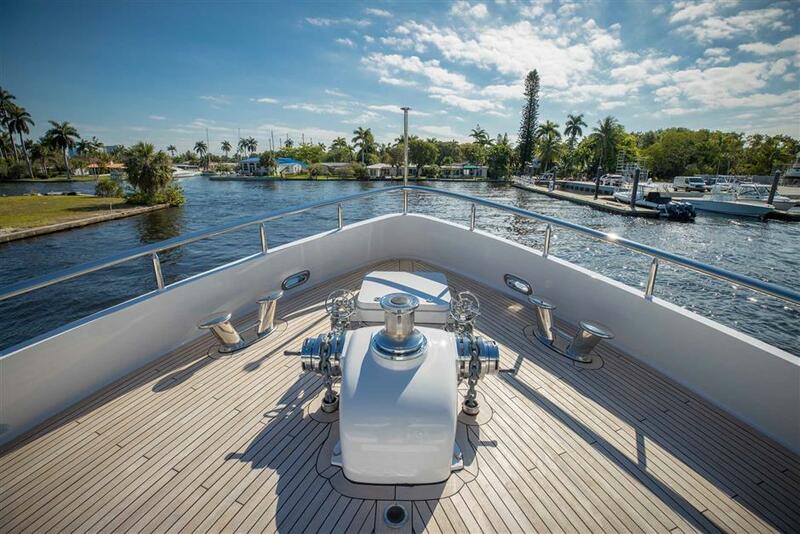 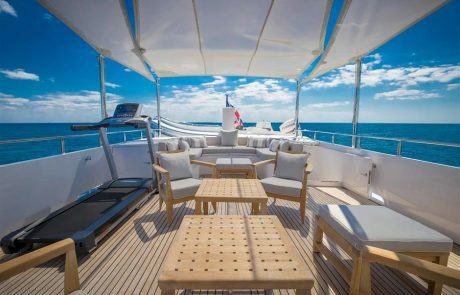 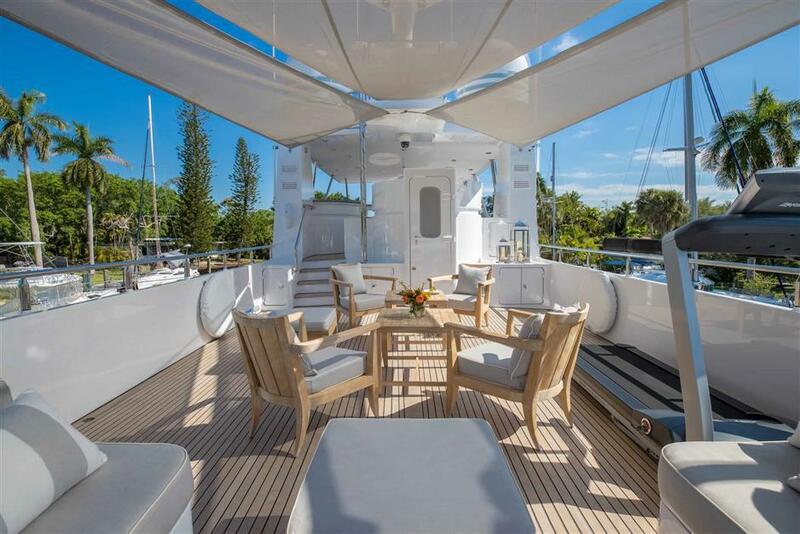 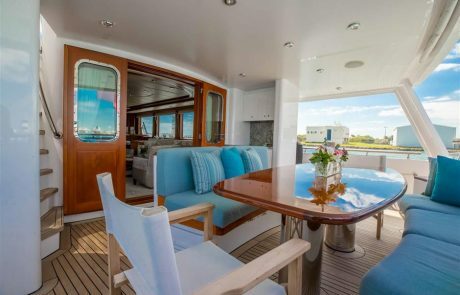 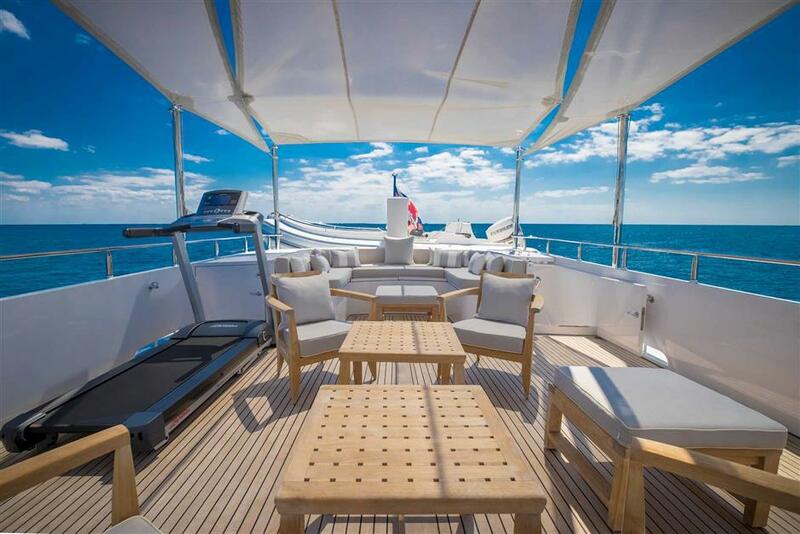 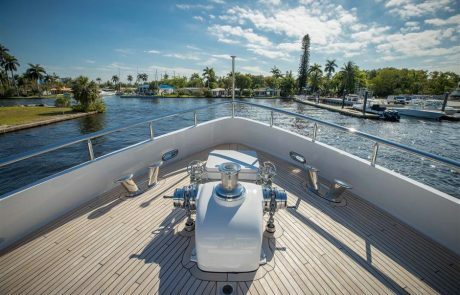 Motor yacht COY KOI also has a protected aft deck with dining, which makes for a great place to relax and socialize.